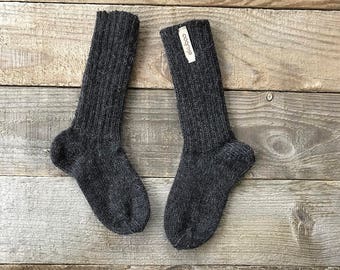 These Baby Alpaca wool socks are great for cloth diapered babies, as well as toddlers and little girls since they keep their legs covered when wearing skirts and dresses. Perfect to keep little legs warm in the cool days of autumn and winter. 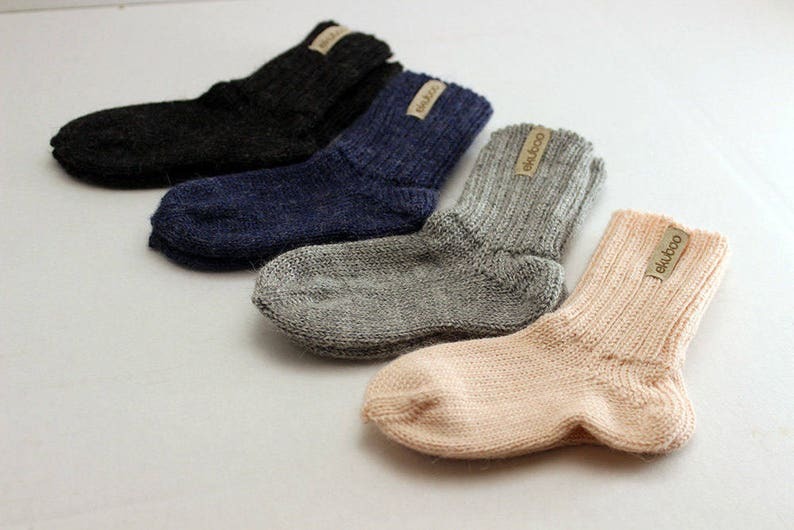 The socks are made of 100% peruvian Baby alpaca yarn. Every item comes individually packed in a box - ready to be given as a gift. Please note that the colour may slightly vary due to photographic lighting sources or your monitor settings. All EKUBOO products are knitted with love and care. 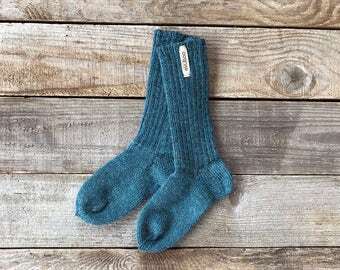 So soft and beautiful socks. The are so soft they slip of tiny baby feet very easily, but we are getting larger sizes as baby gets older for sure! Item will be shipped to you within 3-5 business days after receiving full payment by a registered priority airmail. The shipping usually takes 6-10 days to Europe, 9-21 days to US, Canada and everywhere else. I do my best that you receive your goods safely and as soon as it possible. Please not that I am not responsible for the eventual loss of packages.